Sheikh Ali Suleiman Ali is the Imam or religious director of the Muslim Community of the Western Suburbs of Detroit (MCWS). Sheikh Ali is a well-respected scholar and leader in Southeastern Michigan. He has been active in educational and philanthropic activities in southeast Michigan for approximately the last twenty years. 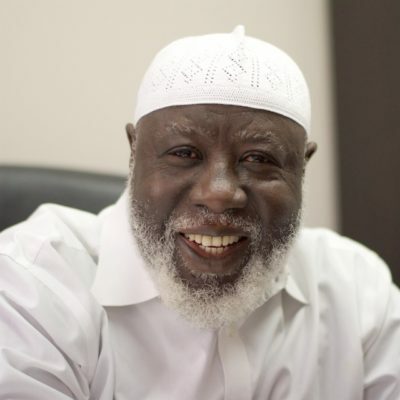 Sheikh Ali spent much of his childhood in Ghana with various shuyukh. His curriculum there included Arabic sciences (such as grammar), Tawheed, Fiqh, Zudhiyyat (Ascetism), and Seerah of the Prophet (saw). He went on to receive his BA in both Islamic and Arabic Studies from the Islamic University of Madina. He has also completed his Ph. D. in Islamic Studies from the University of Michigan, Ann Arbor. Note: Based on need, counseling can be provided on any day between 10AM – 10 PM. Please schedule appointment.